“When planning to build our new home we knew exactly what we wanted to achieve but were unable to find just the right fit in the standard designs of other companies. When we approached Signature homes it was fantastic to find a company that would work with us on an individual design that could include everything we wanted. We met with Daniel, Signature’s architect, who skilfully interpreted our ideas into our dream home. It was great to have the opportunity to work through the design process and develop a ‘one of a kind’ plan that that suited what we wanted for our family, our lifestyle and our location. 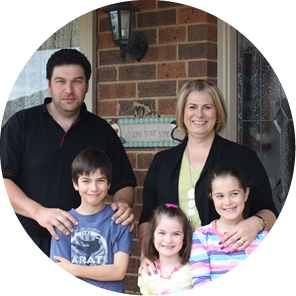 “When we decided to build a house, we visited practically every display home in Geelong. Whilst there were elements of these homes we liked, nothing exactly fitted the bill. The volume builders claim changes can be made to their floor plans, however we found these changes ended up adding a significant amount to the cost of the home. We always thought an architect designed home would be out of our price range, but then we discovered Signature Homes. They offered an obligation free meeting with their in house architect. At this meeting we discussed our must haves and wish list. Daniel was able to come up with a concept design that we were thrilled with. We could tell from this initial meeting we were on the same page in terms of budget and design. The floor plan was drafted and we were able to make numerous changes to suit our requirements and budget. Prior to signing contracts we were aware of the full cost of the build with no hidden extras. 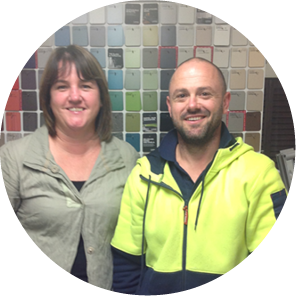 “Gary, Gilda and the team provide an excellent service that is both professional and personal. Their expertise, patience and friendly attitude has made the task enjoyable and given us confidence in the whole process. “We were informed throughout the whole process. 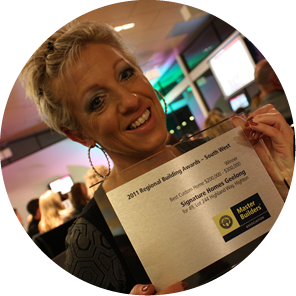 If you feel comfortable with your builder and know that you can approach them at any time, with confidence, I think that reassures you of the whole process. 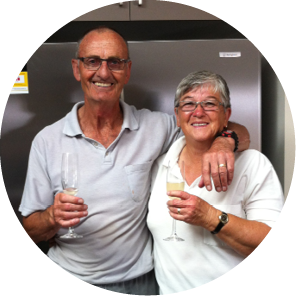 “We walked through the display home, looked at each other and said “This is perfect!”. 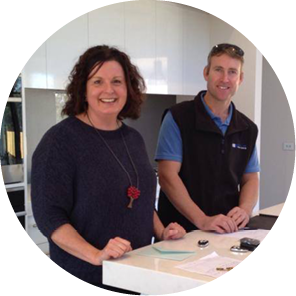 Gary, Gilda and the rest of the team at Signature Homes were fantastic. They exceeded all of our expectations, designed the house around our needs, kept us up to date with the progress and made the whole experience of building our dream home a great one. “I am so pleased to be able to convey my overwhelming happiness with the satisfaction of building my current home with Signature Homes. From the moment I met them at the display home to my finished home I could not feel more delighted and blessed to have chosen them to build hopefully my last home. Speaking from experience as this is the fifth time I have built but first with Signature Homes I received nothing but exceptional service from all involved. I am undoubtedly one of the fussiest people you would ever meet not to mention very indecisive. Nothing was ever too much trouble for all those having to deal with me constantly changing my mind. The communication was fantastic and everything was clearly understood. They were always available by phone or email and had plenty of time and consideration which also included the tradesmen. I was very impressed by the respect given to me by all. The tradesmen were very proficient, obliging and courteous and together with Signature Homes have built me the most gorgeous and well-built home that I am so very happy with. I have to say the quality of workmanship and products used by this builder are second to none. Everything used was of a very high standard and totally within my budget. I was very satisfied and appreciative with the time frame in which my home was built as I was renting and I totally detest that. Their after sales service has been wonderful although as everything is of high quality I haven’t had the need to have them back to often. I have certainly referred Signature Homes to many people and I will continue to do so.